When playing high definition video (720p and 1080p) the CPU reaches 100% and freezes the image at regular intervals. According to the manufacturer this accelerator is capable of hardware acceleration for HD video. I have not yet installed / uninstalled anything in the system. This PC came with the system preinstalled. ATI drivers are installed. This image shows vainfo information and drivers of my system. Hardware video acceleration is only enabled if you are using the binaries from ATI, either install them using the Additional Driver tool or manually from the ATI site, the last method is preferred since the current package in the Additional Driver tool is quite buggy. This post contains all the information needed to install/switch/remove drivers for ATI cards. After this is done you still need a way to connect the media player to the hardware acceleration feature present in your new drivers. If not something is wrong (drop a comment for more help). If you get a similar output your drivers are installed and any video player with hardware decoding capabilities should pick it up automatically or allow you to enable this in the player's settings. For a list of player capable of using hardware video decoding have a look here, the list is not as complete as I wanted but its a good starting point for information. Also 'Preferences -> Show Settings ALL -> Input / Codecs -> Video Codecs -> FFmpeg -> Hardware Decoding' TICK! (same as the above, but permanent - can be set from .config/vlc as well). Do you use the ATI-Driver? You can install it using the System-Settings. There should be an icon called "Additional Drivers". After a reboot, you should be able to use all your graphics-power. I have an HD5770 and first was not able to install this driver on my 11.10. The auto-updater showed me some updates, and after installing them, it worked well. Maybe this information is relevant for you, too. Not the answer you're looking for? Browse other questions tagged 11.10 ati or ask your own question. How do I get VA-API and XVBA to work? Are there better FGLRX drivers? Is it possible to fully enable 3D acceleration for my old ATI Radeon X1650 Pro? (RV530)? 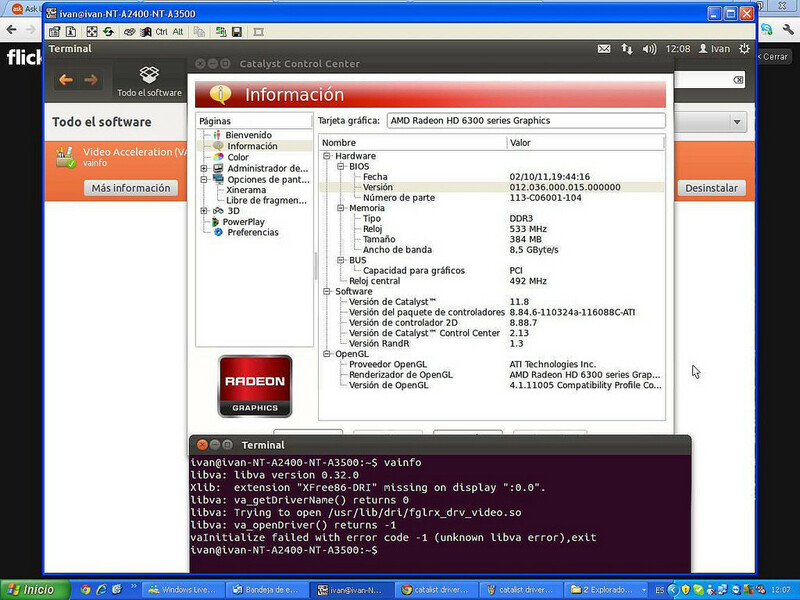 How to enable hardware acceleration with the Radeon HD 7870? How to enable hardware acceleration for Unity on Ubuntu 14.04.1?